The first Olga Taussky-Todd Lecture was presented at ICIAM 2007 in Zurich, Switzerland, on Tuesday 17 July 2007, by Pauline van den Driessche of the University of Victoria, Canada. The title of her talk was Matrices in action for epidemic models. Dr. Pauline van den Driessche, one of Canada's leading applied mathematicians, has earned an international reputation for her research in both linear algebra and mathematical biology. She was a co-recipient of the Bellman prize for the best paper in the journal Mathematical Biosciences in 2002–2003, and was selected by the Canadian Mathematical Society as the recipient of the 2007 Krieger–Nelson award. Pauline van den Driessche obtained her B.Sc. and M.Sc. in Applied Mathematics from Imperial College, London, and her Ph.D. in Fluid Mechanics, from the University College of Wales. She was a faculty member in the Department of Mathematics and Statistics, University of Victoria, from 1965 until 2006, when she became an Emeritus Professor in that Department and an Adjunct Professor in the Department of Computer Science. Of Dr. van den Driessche's more than 150 publications, roughly half are in the area of mathematical biology. Her early papers in that area include seminal work on differential difference equations and Hopf bifurcations. More recently, Dr. van den Driessche's work with a MITACS group on the dynamics of epidemics has had a major impact in mathematical biology. In linear algebra, Dr. van den Driessche is one of the pioneers of combinatorial matrix theory. Her deep work on sign patterns and matrix stability is a cornerstone in the area of qualitative matrix theory. 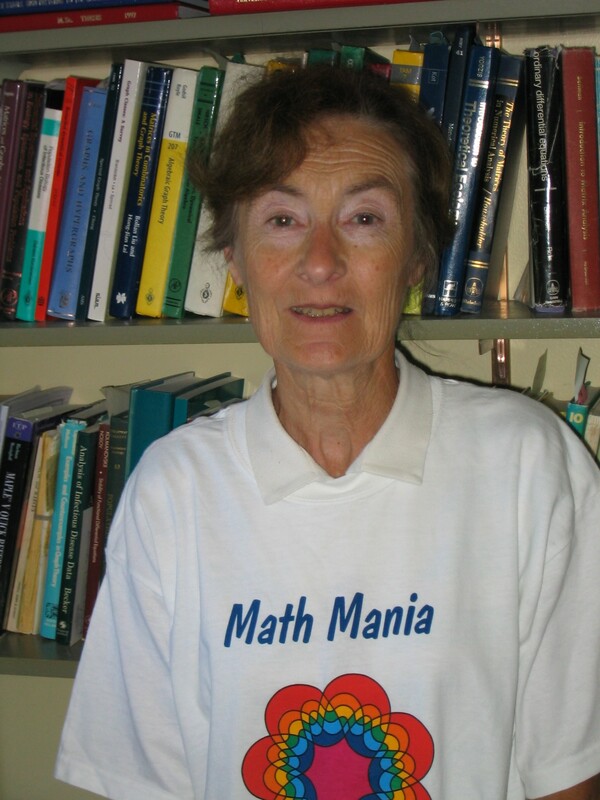 In her important research contributions to applied mathematics and linear algebra, and also for the care and attention she has taken in mentoring her students, postdoctoral fellows, and younger colleagues, the career and legacy of Pauline van den Driessche bears a striking parallel to Olga Taussky-Todd's. It is fitting that Dr. van den Driessche was ICIAMâ€™s inaugural Olga Taussky-Todd Lecturer. The spread of an infectious disease can be modeled by a dynamical system that includes important features of the disease. For disease control, the basic reproduction number R0 is an important threshold parameter that depends on the model formulation and the parameter values estimated from data. In particular, stability of equilibria depends on the value of R0. In ordinary differential equation systems, a method for computing R0 as the spectral radius of the next generation matrix is derived using the theory of non-negative and M-matrices. This is illustrated for some diseases, including influenza. For large systems, useful bounds on R0 are derived from matrix inequalities. Backward bifurcation and bistability are demonstrated in an epidemic model with vaccination, and compound matrices are a key tool in investigating the global behavior. The 2007 Lecturer was selected by a committee appointed by AWM and EWM; it was chaired by Barbara Keyfitz. Richard Varga (Kent State University, U.S.A).